Of his nature the Erasmus EUROEAST it is not just a simply exchange program but is the project that unites destinies. This was definitely our case, Tatiana ROMANCIUC and Ion CHIRCA two ordinary students from Technical University of Moldova. 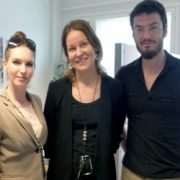 All started with a simply application process we went through and as result were selected for 1 academic year of mastering at Aalto University of Finland, Department of Communications and Networking the largest unit of research and higher education in its subject area in Finland. 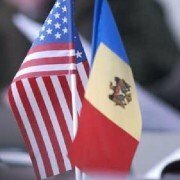 The U.S. Embassy in Moldova announced the next round of the Alumni Small Grants Program. The Program is designed to support alumni in sharing the experience they gained through their exchange programs and implementing best practices they learned in the U.S.